Without a doubt Costa Rica has some of the most amazing Sunsets in the world. Whether descending over the sun-kissed oceans or falling behind the lush rainforests, Costa Rica offers unforgettable memories across a vast selection of great venues to enjoy these magical moments. This amazing Costa Rica sunset was taken from Corcovado National Park overlooking Isla del Caño. 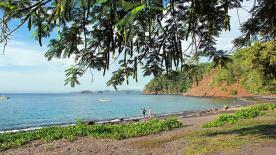 The sky changes colors in one of the most beautiful beaches in Costa Rica at Playa Conchal. 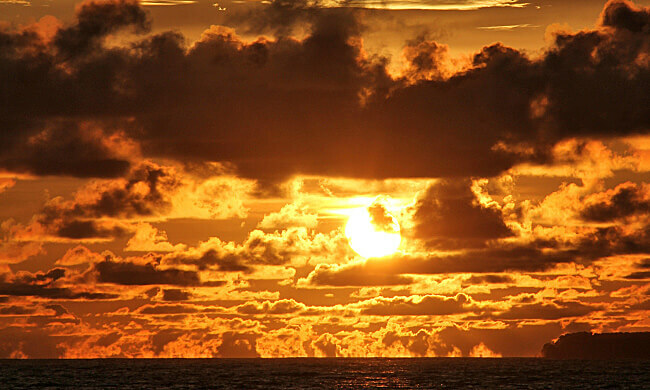 The sun always creates deep gold shades as it falls over the north Pacific horizon. Seeing the sun go down among the local fishing boats is typical in Bahia Drake, on the Osa Peninsula. The moments following a sunset are truly spectacular as seen here at Playa Flamingo in Guanacaste. 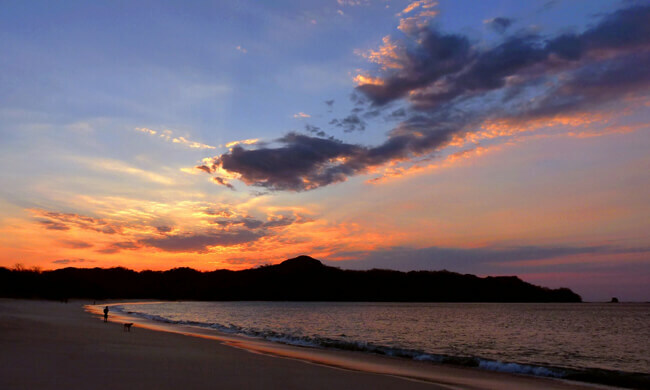 A true vanilla sky at sundown creates a magical mix of color over Guanacaste. An amazing sunset view from the hills at Tulemar Resort n Manuel Antonio. Another sparkling setting cast over the North Pacific in Guanacaste. This lovely sunset was taken from the beautiful white sand beaches of Nosara, on the Pacific coast. The sun sets over the waters of the Pacific coast near Santa Teresa beach. From the mountains of Monteverde sunsets are unforgettable from high above the clouds. The sea breeze and the sound of the waves make this sunset in Santa Teresa, a memorable moment. Between the clouds, the sun begins to descend over the Osa Peninsula. 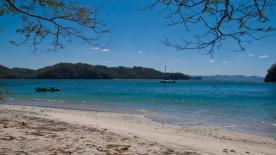 This awesome scenery was taken at Playa Flamingo in Guanacaste. A perfect sunset location. A beautiful, warm sky from the top of Playas del Coco in Guanacaste. Waves crash as the sun warms the sky over the Catalina Islands of North Pacific. 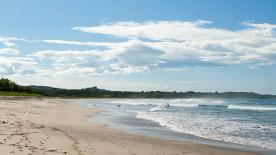 The sun hides behind the mountains from the top of Playa Hermosa, Guanacaste. A colorful cloudscape typical of the Pacific coast. the town of Tamarindo offers some of the most incredible sunsets in Costa Rica right from the beach. A perfect Costa Rican orb of gold. Beautiful colors at sundown over the canals of Tortuguero on the northern Caribbean shores. This Incredible image was taken at sunset from Tortuga Island on the Pacific coast.